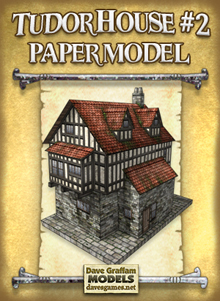 This paper model kit is easy to assemble, requiring just 10 cardstock paper sheets to print on (110 lb. or 199gsm recommended), scissors, hobby knife, paper glue, metal ruler and cutting mat. 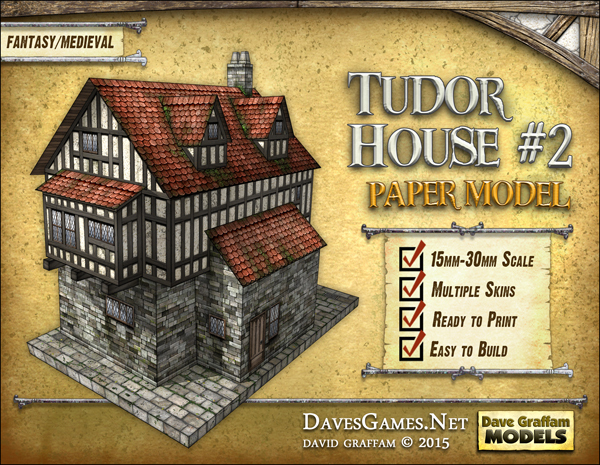 This specially-priced model features single-layered PDFs that are ready to print right way. 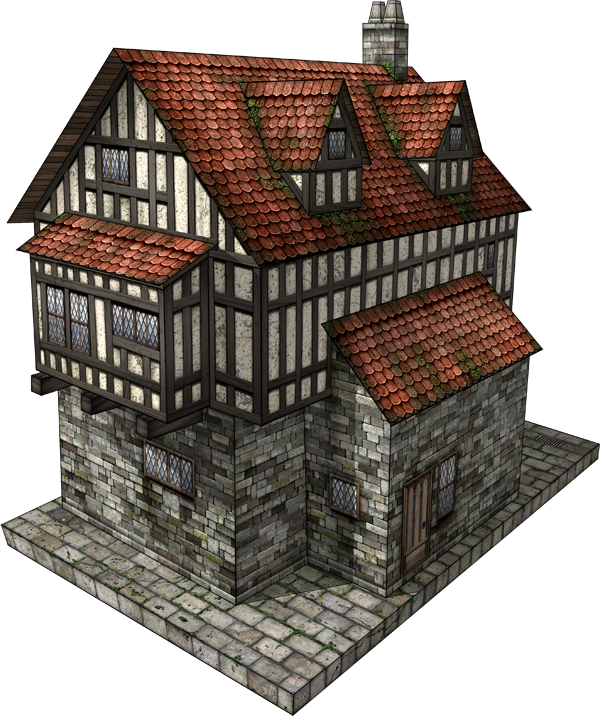 This download includes files you can use to customize and print a complete model exterior including chimney, dormers and ground piece. You'll need the free Adobe Acrobat Reader 7.0 or later in order to use these PDFs included in this kit. Some JPG files are also included. This model has a T-shaped footprint of 5.5" x 7". It stands about 8.5" tall including the chimney. The ground piece is 6" x 9".